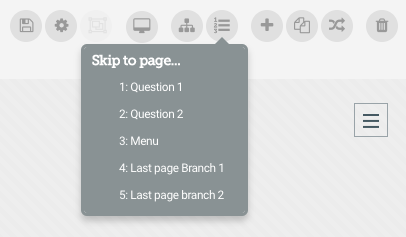 If you have a course where the final page could be several different pages (for instance if you use ‘Rules’ or ‘Links’ in your Project) the final score will still send on the last page in the course. 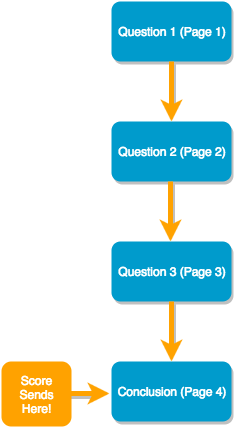 For example here I have a course where there are two final pages. 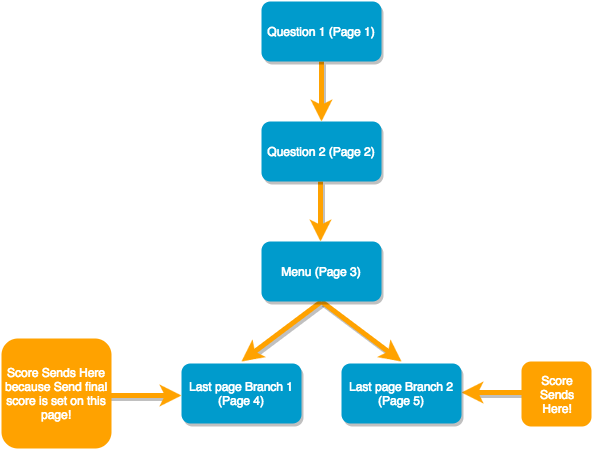 On the ‘Menu’ page the learner has the choice to either view the final page of ‘Branch 1’ or ‘Branch 2’. 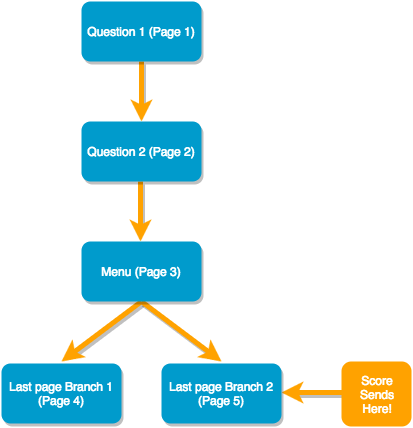 In this example, the learners final score will send only if the learner choose Branch 2, as this is the last page of the Project. 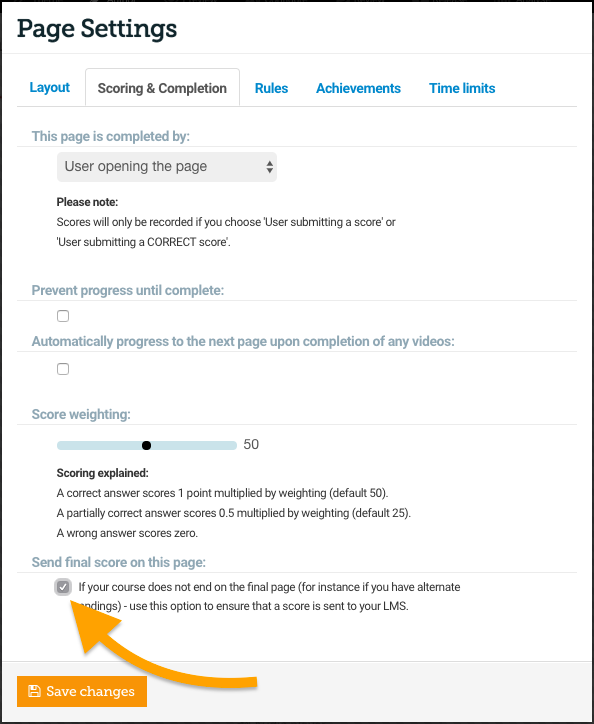 In order to send the final score if the learner has viewed Branch 1, I will need to open the page.